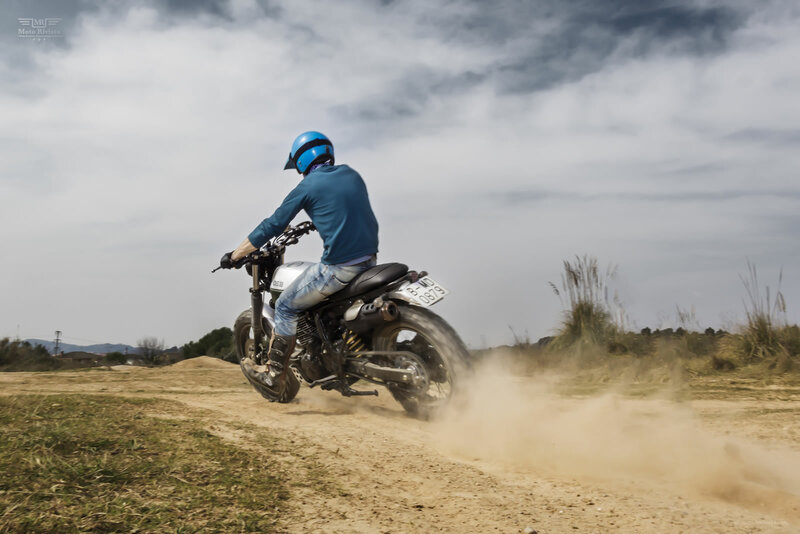 If you’re looking for a hassle free motorcycle vacation we might have the right location for you, the Spanish city of Barcelona. 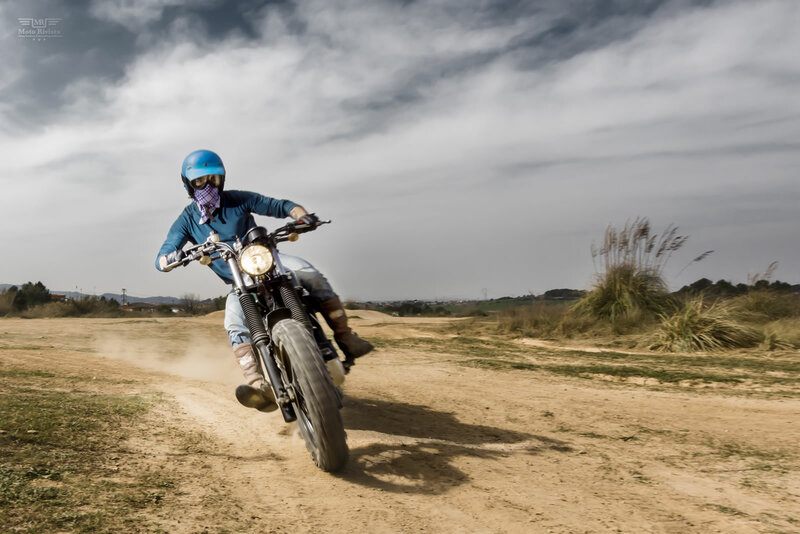 It’s an ultimate destination for riders; Barcelona is one of the European cities with an abundance of motorcycle heritage. It’s also famous for its Montmelo Race Track. 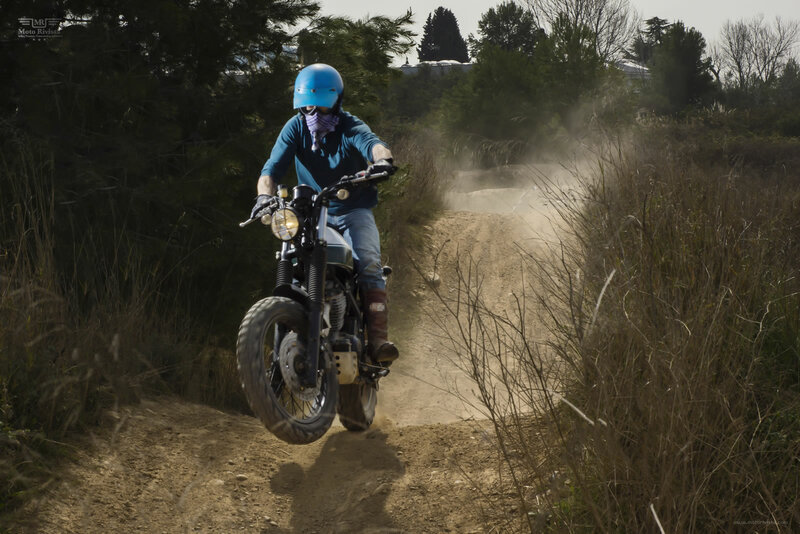 If above is not enough to convince you check out the feature of the day, every aspect of this scrambler screams of the Spanish custom scene. 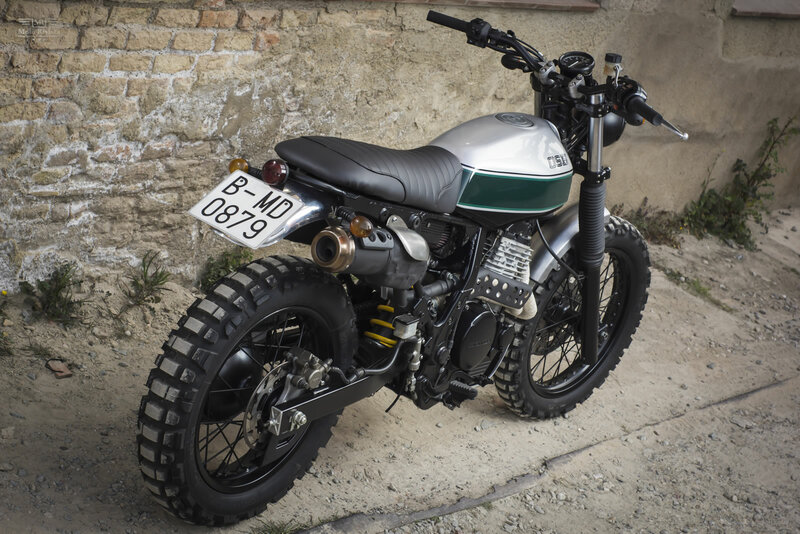 This brilliantly modified Honda NX650 Dominator scrambler is the creation of Octopus Soul bikes from Barcelona Spain. 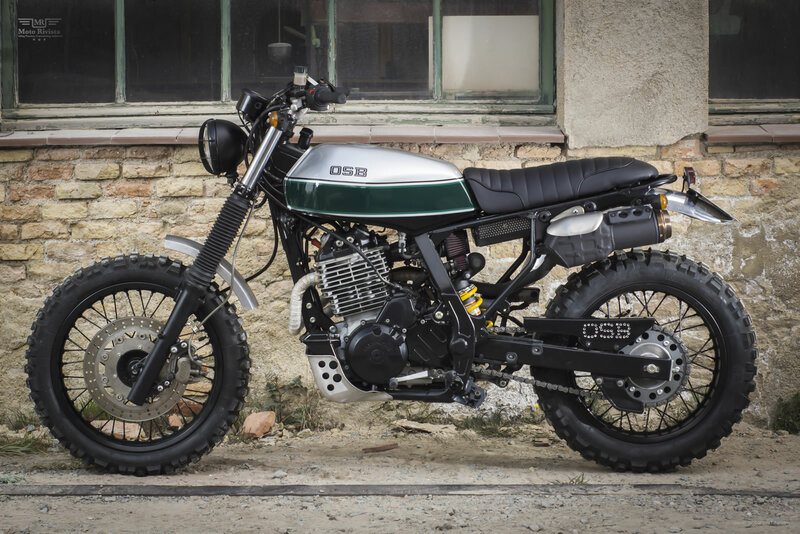 Jordi Ciscar, head of OSB Soul Bikes, is the third generation dedicated to the motorcycle world. Ex-pilot, mechanic and designer, who joined in 2013 with his father Joan, a mechanical active with more than 40 years of experience, to embark on a new adventure; the creation of Octopus Soul Bikes (OSB). 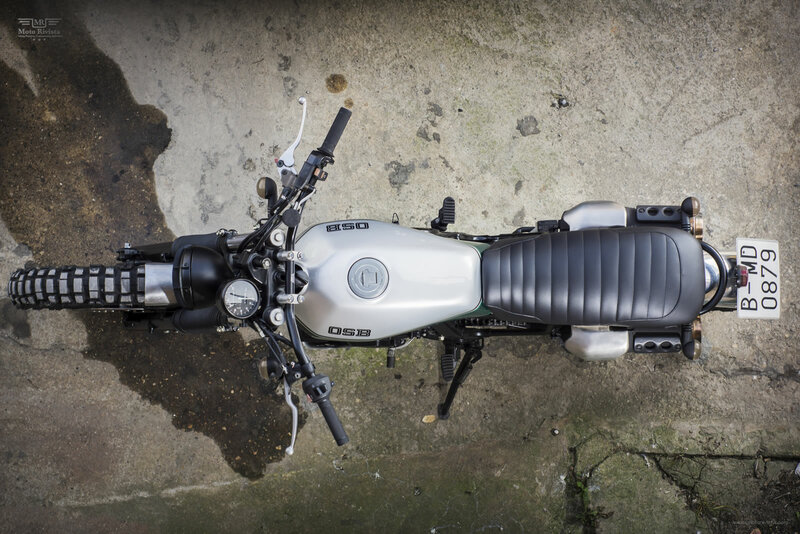 Their workshop specializes in the processing and customization of motorcycles. Jordi tells us “OSB was born with the intention of offering a very unique product aimed at that group of people who don’t see their needs or expectations covered in the current market. For those who don’t only value bikes for their power. In short, for those who want to share our love for them. Love, passion and professionalism are our premises to tackle any project. With this declaration of intent comes to the scene OSB/1. 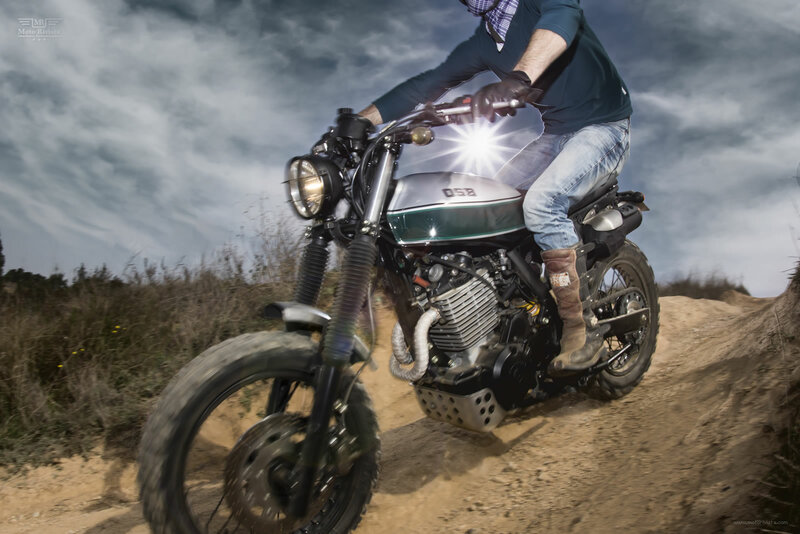 On the basis of a 1991 Honda NX650 Dominator, we have created this compact, agile and reliable scrambler. It has a trimmed frame and rebuilt subframe. The wheels have been replaced with an 18″ in the front and a 17″ in the back from an Aprilia Motó 6.5 and assembled with Michelin T63. The gas tank comes from a 1987 Honda NSR 75cc and the rear shock absorber belongs to a Suzuki GSX and serves to reduce the height a part of winning benefits. Hiding the electrical installation as well as all its components and the battery was a particular challenge. Thus the CDI was mounted in the toolbox. Underneath the seat a case was built to accommodate the battery and the starter circuit, whilst the fuse box is hidden inside the main tube of the frame. The front and the rear fenders are hand fabricated of sheet metal and the new seat was built in-house. 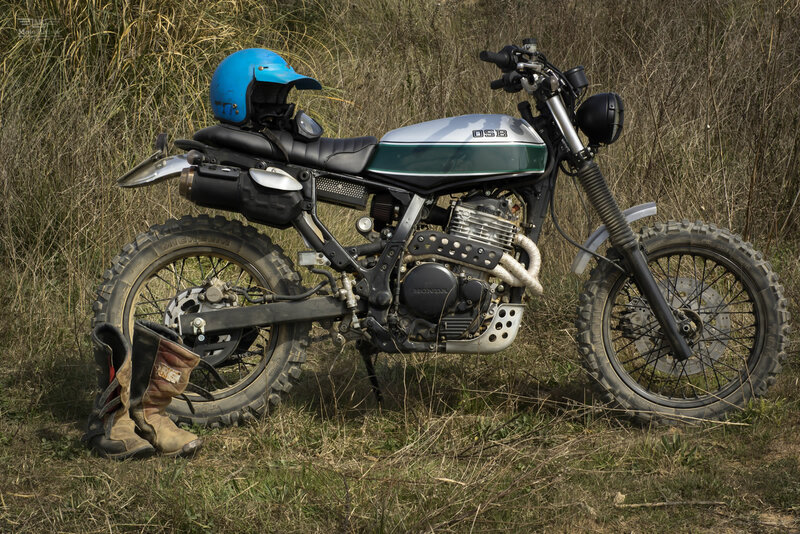 The finished custom Honda NX 650 Dominator is much lighter and more agile than the stock bike. 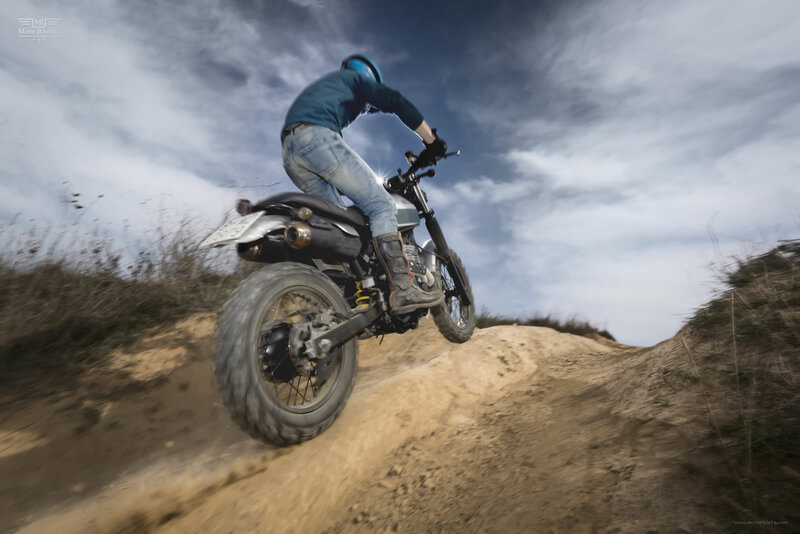 A scrambler that moves seamlessly through the city and also lets you enjoy any road.